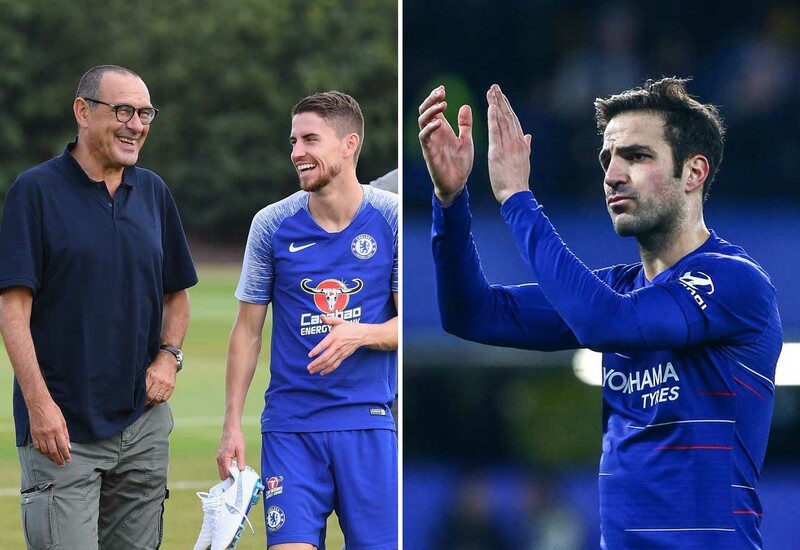 Cesc Fabregas has admitted he decided to quit Chelsea the second Maurizio Sarri signed his “son” Jorginho from Napoli. The former Arsenal midfielder, 31, left Stamford Bridge for Monaco in January, citing the arrival of Jorginho for his departure. Fabregas knew his Chelsea days were numbered when new boss Sarri brought in the Italian deep-lying playmaker for £57.4million as one of his official actions as Blues chief. The 110-cap Spain international said his desire to keep on playing in every game meant he knew he would have to leave West London. Fabregas said: “I like to have new objective. All the time for me it’s important to have a new objective in my head. “I was at Chelsea and I could have renewed my contract and stayed there but a new coach came with a player that for him was like his son. “For me it was difficult to play every single game and that’s what I want to do. I love football. I don’t want to just be happy to play for Chelsea. “For whatever reason it was impossible for me even if I was better, or someone else is better, to play every match. Fabregas had spent five years at Chelsea having joined from Barcelona in 2014.